A UNESCO World Heritage Site, Canterbury is famous for its stunning cathedral. But there’s more to this lovely little city than that. The incredible new Marlowe Theatre hosts touring shows from all over the world. 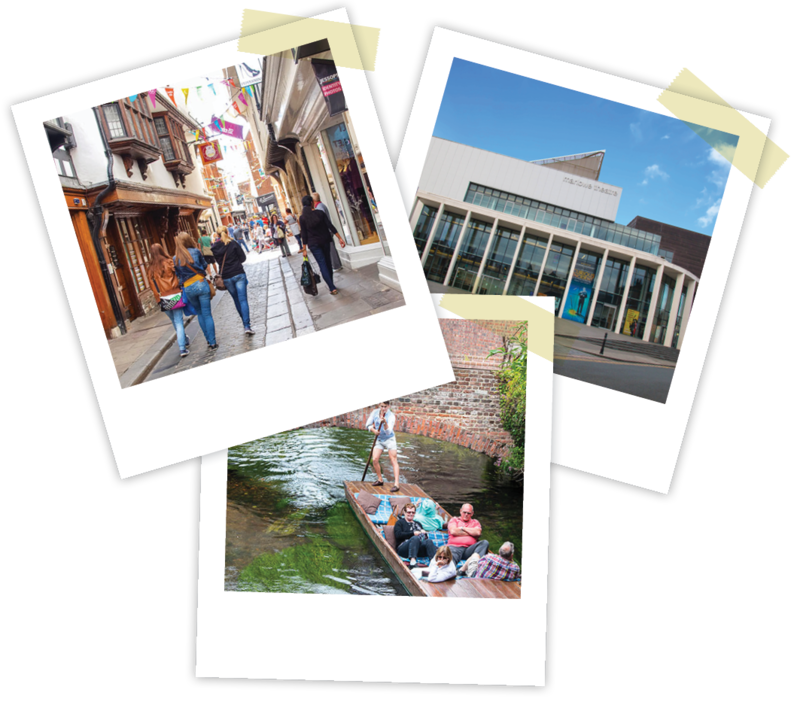 The vibrant city centre has a huge range of shops, restaurants, bars and cafes; from quirky independent retailers to high street names. High speed train services run regularly to London and you can be in the capital in less than an hour if you want to be – chances are you won’t want to leave, of course….